Our classes last for ½ an hour which is standard for children’s swimming and means it’s just long enough to maintain their focus and energy levels. In the unlikely event that lessons need to be cancelled you will be contacted via text as soon as is possible. Please ensure that you have provided all the correct contact information on your registration form. Am I able to watch? 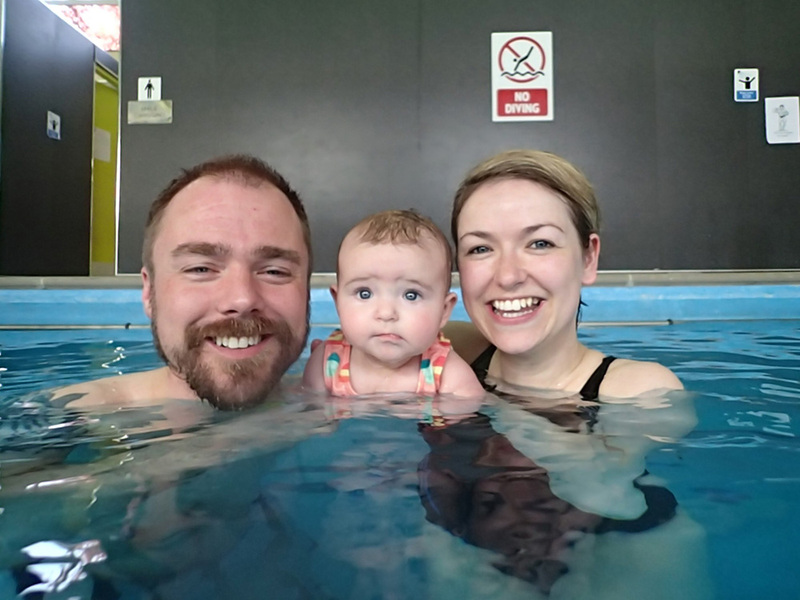 Unlike our Super Baby Splashers programme, after the age of four children are not required to be accompanied in the pool by an adult, (of course they still have their instructor with them). Most of our pools have viewing areas where you can sit and watch your child, although not all are right next to the poolside. Note: Certain levels of teaching will require the Swimming Teacher to work within the water therefore they may need to physically help your child in and out of the water. 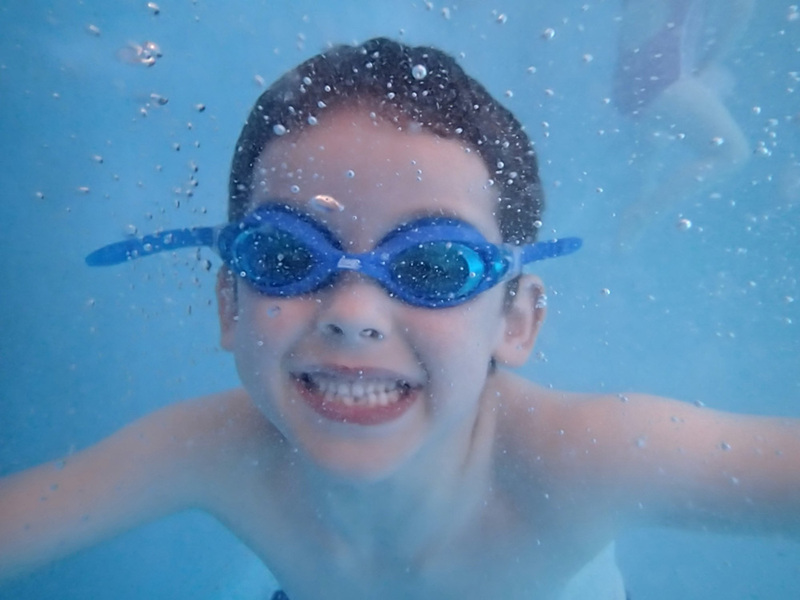 We do not make it mandatory that children wear swimming goggles although many prefer it as it helps them see clearer underwater when carrying out some of the underwater activities such as diving for weighted objects. It is entirely your child’s choice as to whether they wish to wear them or not. Does my child need to wear a swim hat? Again we do not insist on this although we do ask that children with long hair have it tied back to prevent tangling and distraction when swimming. Some children do wear hats and you may find that especially during winter months having your child leave the pool with dry hair will mean they are warmer when leaving the building. Please note that some of our pools do not have hair drying equipment. Do I have to sign up for a full 10 weeks? Spaces in our classes are limited so we do ask parents to commit to a full 10 weeks to ensure child/instructor ratios are maintained consistently. We also use the full 10 weeks for the program that your child is working towards in order to complete that level. If your child has not been introduced to water before or is nervous of joining then we do offer 1-2-1 sessions to see if they like it. Call to speak to one of our instructors to see how we can help support you and your child. Do I have to pay for the full 10 weeks upfront? We do ask for payment to be made in full in advancement of the 10 weeks where possible. However, we fully appreciate for many parents, especially those with siblings that this can prove a costly one-off payment. If you think you might struggle to pay for the lessons in full then please talk to us to see what alternatives we can give to support you with this. Bank Transfer: Payments should be made to Account No. 01015596 Sort Code: 090128. Please quote your child’s name as the reference. Cheque: If paying by cheque please make it payable to Super Swim Academy Ltd and ensure you write the names of child(ren) on the back. Will my child have the same teacher for the 10weeks? Our aim is to keep children with the same Swimming Teacher for the full 10 weeks, however due to holidays or sickness it may sometimes be necessary to change teachers. All our Swimming Teachers are DBS checked, fully qualified, covered by STA insurance and hold lifesaving qualifications. If your child is unwell then please ring us as soon as you are able to let us know that they will not be attending class. This prevents the instructor hanging on for a few minutes in the hope that they will arrive. Unfortunately we are unable to offer refunds for absences (except in the case of a medical injury where a doctor’s note can be provided), however, your child’s place on the remainder of the course will still be secured providing payment for the full 10 weeks has been received. When do you issue awards/certificates? Super Swim Academy Ltd is committed to delivering the highest standards of swimming tuition and our aim is to help your child to learn to swim in the fastest possible time. Your child’s progress will be monitored on a weekly basis until week 8 when they are assessed and are able to purchase badges. Children who pass the Assessment criteria at the required level will move up to the next level. If your child does not move up then their place and time will remain the same unless specifically requested to change. Week 8 is also the point at which you can rebook lessons for the next 10 week course. Please note that all payments for the next 10 week course must be made by week 9 otherwise you may lose your child’s place. As your child progresses through the different attainment levels, the days, teachers and times of classes may change accordingly. Every effort will be made to accommodate your needs where possible.